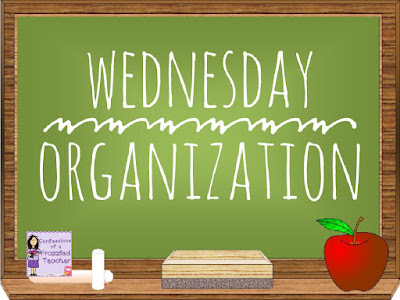 You will always have students that will have some kind of injury or illness at some point during the school year. This will of course happen at the most inopportune moment. 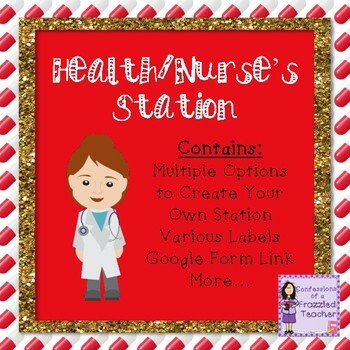 Because of this, I highly recommend creating a health station for your classroom. * Small container with band-aids - You will definitely need to replenish this through the year! * Hand-sanitizer - Cleanliness is super important! * Lotion - This works will for students with severe dry skin. It also works well as a 'magic lotion' which cures almost any ailment. * Small container with a hard candy - I used mints. - I give these to students with a sore throat or a cough. I prefer not to pass out cough drops since that is a type of medication. * Vaseline - This is for my students with lips so cracked they are bleeding or just look painful. I had three students last year that used this a lot! * Q-tips - To dip in the Vaseline for cleanliness. * Optional - Nurse passes - Our nurse has teachers write a pass for those that visit. This would be a great place to store them. 1. Keep it simple! Just take everything and put it together in the larger container. 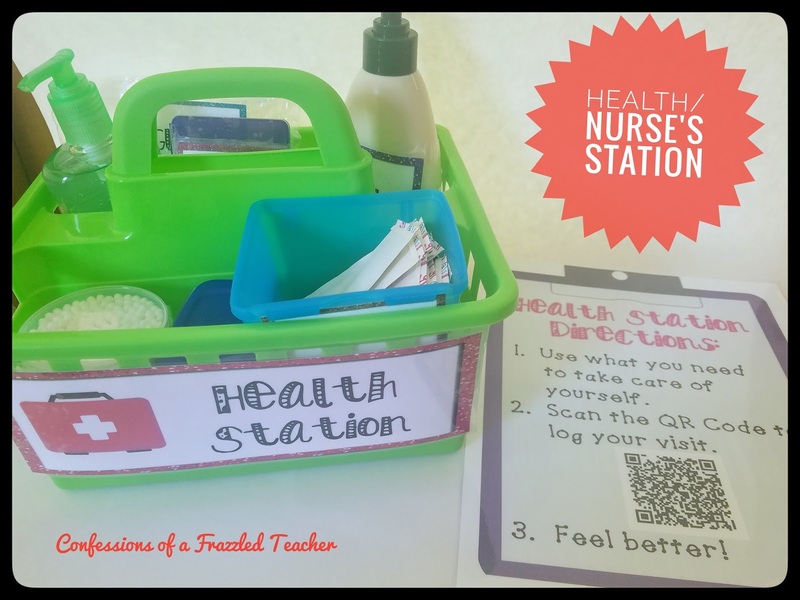 Click the pic to see the Health Station I created for Teachers Pay Teachers. It includes all the cute labels and pictures to help you make your own! Right now it's currently 50% off! 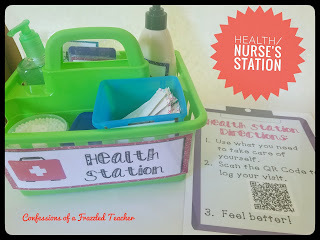 The most important reason to create a Health Station is that everything is in one location. You will not be searching for a band-aid at the most awkward moment. At the beginning of the school year, I trained my students how to use the different items in the basket. I also monitored students using anything in the basket. I kept it stored behind my Guided Reading table, so it was easily accessible but still out of the way. This way I never felt that anyone abused the resources (even for the mints)! I love having everything within easy reach! 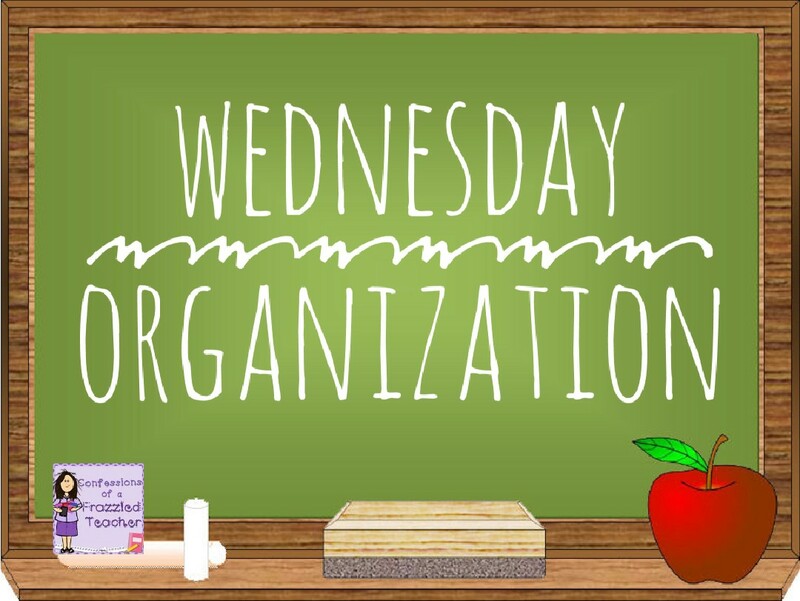 What do you need help organizing in your classroom?